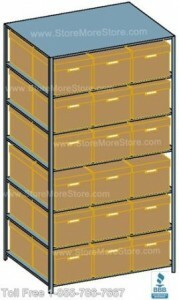 Storing boxes in piles on the floor is not only unpleasant to look at, it’s downright unsafe. Even if the piles are nice, the stuff in the boxes is heavy. And asking employees to lift the boxes can put them at risk for injuries. Also, boxes on the floor can get damaged by water. 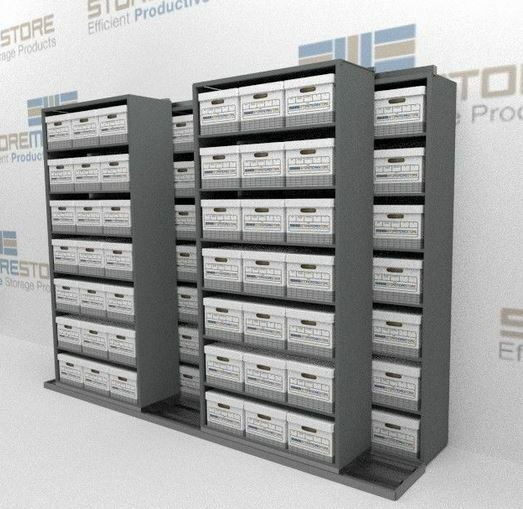 Box shelving is the answer for storing record boxes. 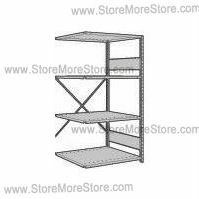 With everything that you gain, there’s just no reason not to use shelving. 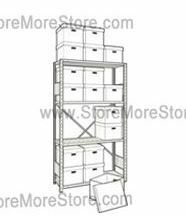 What Type of Box Shelving Should You Use? 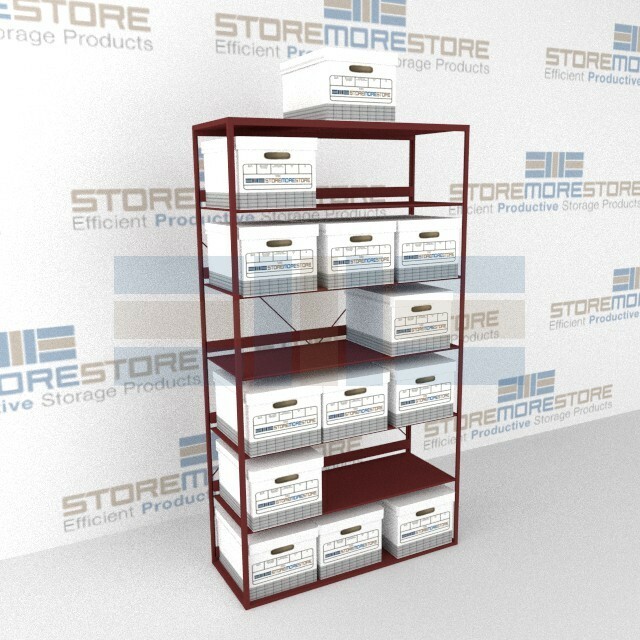 And if you need any boxes, you can visit our partner Office Supplies Furniture USA. 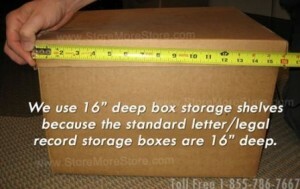 They have so many types of boxes; you’re guaranteed to find just what you need. 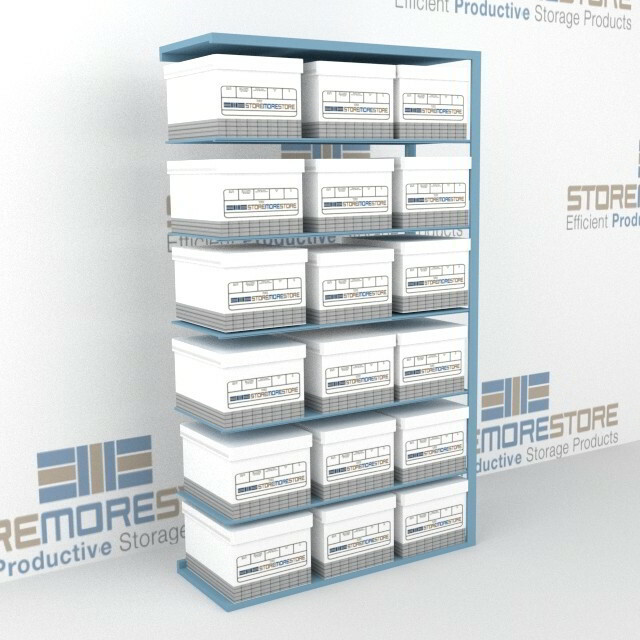 If your storage room has any of these problems, they can not only be unsightly but downright dangerous. 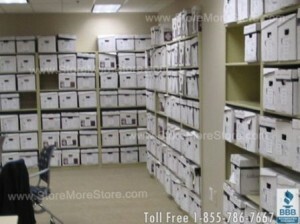 For example, mice and rats can eat through your important documents or water can soak through the boxes causing mold. 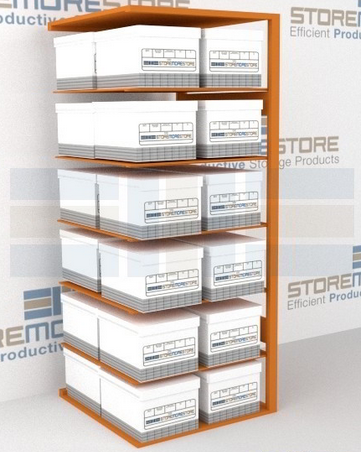 Can you afford to pay the cost for mold remediation from a few wet boxes? 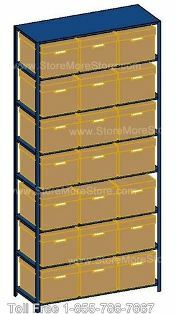 Also, lifting and moving heavy boxes can cause serious back injuries to employees. 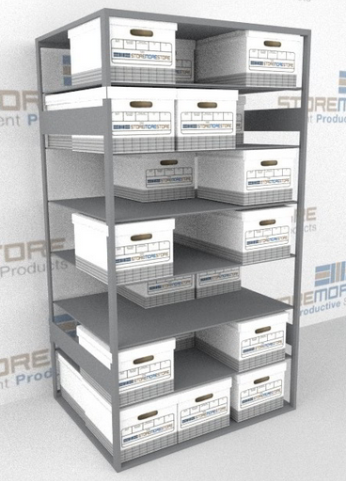 At StoreMoreStore, we have several Record Box Storage Shelving solutions for storing archives and files. 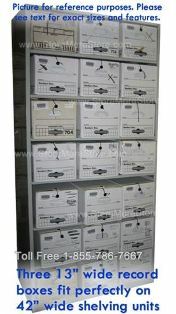 You can buy our Record Box Storage Shelving online, and if you need any help please give us a call at 1-855-786-7667.